For the last couple of years I’ve done the Cap 10K in Austin. It’s almost as huge a race as the Turkey Trot in Dallas. This year I signed up for it, but I don’t get to do it because I have a birthday party to go to in Dallas. I went and got my shirt anyway, since I paid for it. 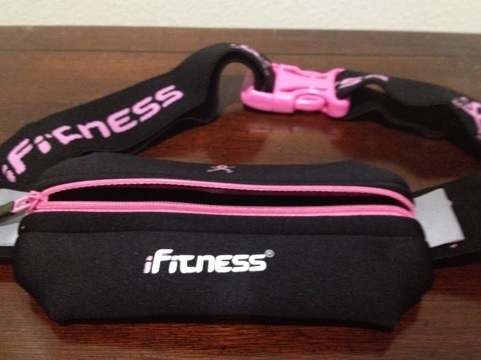 While I was at the expo, I bought another iFitness belt. I figure that I really only need the double one if I’m going to have to carry my car keys. I need a smaller one for the day to day walks, which I do more often. I am extra excited about this one because it is a breast cancer awareness model! I can’t wait to try it out! They also had a booth that sells earphones for the iPhone (or any other device you want to use them with). I have really small earholes, so I can’t even wear earphones when I run. These people swore that theres would work for me. You know what!!? I think they will!! I didn’t buy them there, though, because they sell these at Best Buy. Once I get them, they will probably get a whole blog to themselves!